Hi there? I am really worried about my 12 year old daughter whom i think may have Dyscalculia. Around 2 years ago my daughters primary school teacher picked up on this and we looked into it but nothing ever happened at the school about it. Now that she is in secondary school her Maths has been highlighted as very very poor, and i feel now that i need to do something about this. Is there any help out there? Tests to determine whether my daughter is or not? Any help would be greatly appreciated, so please feel free to email me. Regards Peter. You might try contacting the special education department at your daughter’s school and request that she be referred for psychological testing. 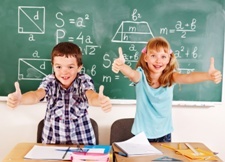 This testing is able to confirm if your child has a learning difference, including dyscalculia. Most schools go through a battery of assessments before they will send students for psychological testing, however if you call the special education department you will start the process. Good luck. i have always had a though time with math and now im taking alegebra 1 , i bearly passed last year ad its so frustrating that every one gets it except me. i want to know if i can have an assesment online and send the results to my school. i have good grades in every other class accept math , you dont know how bad it feels not knowing how to solve so called simple problems. I was taking an algebra class this semester at a two year college but I just couldn’t understand it so I dropped the class I feel so bad because I need like three more math classes to graduate and it really saddens me seeing everybody get it and I sit there trying to hold tears back. @amy i so hear you friend. its so hard when even in an exam everyone is scribbling away but you are fighting tears coz you just dont get it. im the same as you except i actually failed my exam and barely passed another accounting one. i am going to continue looking for a test online. I don’t know if I have dyscalculia and its too late to test if I do or not because I am leaving school. I was always told I went into this ‘negative frame of mind’ during maths but I hated it. We were given these online maths homeworks and I could never do them because I find it really difficult to work out things, especially so on a screen whee I can’t underline or draw on the question a needed. I always describe it as if I am wading through custard – my mind slows and it’s incredibly frustrating, especially if I am trying to do a long question – even simple adding with more than single digits I struggle with as I’ll add up a section and then think about the other part and forget the first bit. I struggle to do my 9 year old cousins addition homework (I’m 18!) and when I can’t add something and they explain it to me I wouldn’t have even thought of their method. I can’t read 24 hour clock and it is really embarrassing having to count on your fingers to to simple times tables when you are a top student in everything else. First your daughter needs to speak to the person at her college who oversees the academic counseling or tutoring program. If she needs statistics for her major, obviously she’ll want to get help. If she doesn’t need it for her major, she may just want to skip it. Keep in mind that it is common for students, even those who do not have dyscalculia, to struggle with statistics and to drop the class. She’s not alone. For online resources, you can check out a site for Math Learning Resources at http://www.dyscalculia.org/ If she needs statistics for her major, obviously she’ll want to get help. First have your parents ask your teacher or counselor at your school if they can give you the test for dyscalculia. It would also be a good idea to explain to the teacher in your “extra-help” class exactly what you don’t understand and what you think might be the problem. I suspect my 14 year old daughter has dysalculia. She has always struggled with math but got by with the help of a tutor in grade school. This year (grade 9) a tutor did not even help. It almost seems like it complicated matters as the tutor was teaching differently that her school teacher was. No matter how much she studies and receives special tutoring help, all recall is gone the next day. We’ve asked for years if there was some underlying disability but have always been told that she is above average in reading so not to worry and one day the light bulb will turn on. Last year she forgot how to snowboard after 6 years. Turns out she all of a sudden was boarding with left foot forward instead of right. Friends make fun of her because she has no idea how to direct a ride home to her house and she has no concept of time. I think we might finally be on to something but her school guidance said there is no specific testing for a math disability and just keep plugging along with help of a tutor and summer school. She is gifted with music and writing but the failure in math has completely damaged her confidence and self esteem so badly that she has given up on her passions. I just found a new tutor who specializes in creative math and music in hopes of tapping in to her creative side. He however is unaware of a specify test to diagnose this. I like his approach and wonder if he would have the resources necessary to help her. We are in Canada in Toronto area. Is there somewhere we can get her tested? I do not know of specific resources available in Toronto. However, I recommend that you look for an educational counselor or math tutor who can administer a test for dyscalculia. And keep looking for a tutor who understands how your daughter is being taught. There’s no point in having a tutor who isn’t following what the school follows. That only makes matters worse. I am a master degree student, and currently doing my independent study. 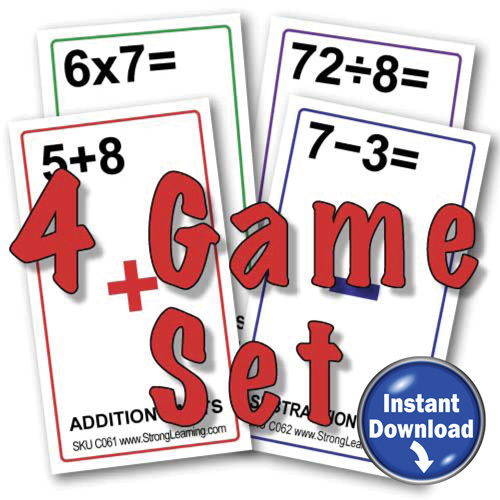 It focuses on factors that influence students’ performance in mathematics. And I enlisted Dyscalculia as one of the factors. Can I use the list of signs of Dyscalculia you enumerated on my survey questionnaires? Yes Ryan, you are welcome to use my list of signs of dyscalculia on your survey questionnaires. Good luck with your independent study. ADHD, and non specific learning disabilities I was an honor student in high school and college but struggled with organizational skills, math, and things which had to be specifically memorized. My verbal skills are good, and I can learn math..just had trouble with keeping processes strait and with transposing numbers, handling, sorting, filing and keeping up with things. I had trouble learning dance steps, exercise routines, spatial problems, logic…can’t do things in my head…have to see them on paper. I have a masters degree and license as a counselor. Is there any help available? I do we’ll in structured jobs with efficient clerical help…but in jobs where I am expected to do those things or in private practice, I struggle. I would suggest looking for a counseling job in a situation that provides clerical help since these are the jobs you excel in. You can also look for an ADHD counselor in your area who works with adults. 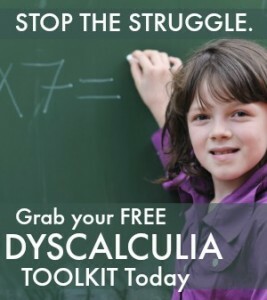 Respectfully, I believe you are not listing the “symptoms” of Dyscalculia correctly. Here are different, levels of dyscalculia, also. Dysgraphia often is seen with dyscalculia. My son is a Junior in college and has dyscalculia. We fought for accommodations and received them. You make it sound like it I just similar to problems with with math and can B easily corrected. I am an advocate, and my son and I are here to help. Thank you so much for your time! I’m 21 now and graduated from high school. I have major problems in all of the areas listed above for it. I’ve decided to get tested for it. I never knew that there was such a thing as Dyscalculia before I got halfway through twelfth grade. No one in my family or school believed me when I said that I couldn’t do math. I would start doing my homework that consisted of 30 math problems at 4 in the afternoon and couldn’t finish it by 3 in the morning. I could barely get 15 problems done. My 12th grade math teacher was the one who thought that I might have it but my school wouldn’t test me for it because they don’t think that it exists. Is there a way that you would recommend that I can make them more aware of the problem? Hi Nichole, I’m sorry you had such problems with math in school. You’re not alone. It happens to lots of kids. The good news is that you did graduate from high school. If you did get those math problems done, even slowly, it’s quite possible you don’t have dyscalculia. If you want to let people know about it it, you can send them to articles and dyscalculia associations on the internet. I just finished my first year of college. Math had always been and extreme difficultly for me and I have had very low grades in math and applied math. I got tested by the school psychologist and I have math anxiety disorder. I also have very high reading, writing and analyzing skills. I looked at the symptoms of dyscalculia and I strongly think I have it but I’m not sure what to do about it. How to get help and how to help myself. Talk to your college counselor. Find out what options are available at your school. Most colleges have centers where students can get help. I am an adult who thinks she has dyscalulia. My dream was to become a veterinarian but I could never get through Algebra. 5x with nothing higher than a D. Tutors, lab nothing helped. Then I found my calling in teaching. But I am limited to the primary grades because I can’t grasp certain concepts of the curriculumn. I now have a Reading position working with students with lower reading levels. ESE, dyslexic, speech impaired. I would like to evaluate myself online for thus LD as I can’t pay for testing at this moment any suggestions? I don’t know of any accurate tests online to diagnose dyscalculia. If you enjoy your teaching position, I wouldn’t worry about it. Just know that you are doing a great service by teaching students who struggle with reading. I am an 8th grade middle schooler and Just by reading a billion website on this disability i know i have it.I haven’t talked to my parents yet because I know they wont believe me.They think that i just need to try harder even though it do.My grades are b-C’s but my math is a D-.I ask my teacher and i understand it but i forget what he teaches the second he stops teaching.Do i have it? I can’t tell by just reading your question whether you have a learning disability or not. Talk to your teacher. If he isn’t helpful, talk to your school counselor. You’ll need to be tested in order to be eligible for special services.